Teach Now! is an exciting series that opens up the secrets of great teachers and, step by step, helps trainees, or teachers new to the profession, to build the skills and confidence they need to become first-rate classroom practitioners. Written by a highly-skilled practitioner, this accessible guide contains all the support you need to become a great Physical Education teacher. Combining a grounded, modern rationale for teaching with highly practical training approaches, the book offers clear, straightforward advice on effective practice which will develop students' physical literacy, knowledge and inter-personal skills. 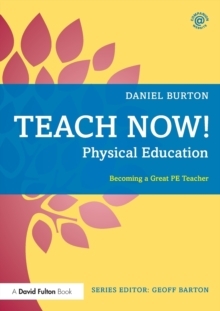 Enhanced by carefully chosen examples to demonstrate good practice, and with key definitions and ready-to-use activities included throughout, the book examines the aims and value of teaching PE, and outlines the essential components of providing a good Physical Education to students of all ages and abilities. Planning, assessment and behaviour management are all covered in detail, alongside chapters which focus upon the criteria and objectives of an effective PE curriculum, how to support students with special educational needs and physical disabilities, and how to create practical and effective ways to cater for the most-able students within PE. Teach Now! Physical Education contains all the support required by trainee or newly qualified PE teachers. With advice on job applications, interviews, and your very first term, this book is your essential guide as you start your exciting career as an outstanding Physical Education teacher.